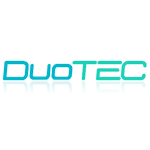 DuoTec is a russian company engaged in the development and manufacture of remote units satellite tracking systems. The company is not only involved in tracking systems and equipment development but also handles custom requests for their clients. All the products are integrated with tachographs, which allows to analyze data both on vehicle technical condition and driver behavior. The chart below shows the changes within the last 30 days in the number units of Duotec devices type are connected to Wialon Data Center.